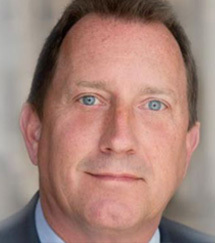 In February 2013, Jeffrey J. Kroll joined Salvi, Schostok & Pritchard P.C., bringing more than two decades of experience with representing the victims of others’ negligence in Illinois and throughout the country, with a focus on cases that involve trucking accidents, transportation negligence, medical malpractice and products liability. Over the course of his legal career, Mr. Kroll has secured verdicts or negotiated settlements in more than 75 cases that resulted in awards of $1 million or more, including six cases that in which the amount exceeded $10 million. Most recently, he obtained a $148 million jury verdict on behalf of a dancer who was paralyzed when a shelter collapsed on her at O’Hare International Airport. Mr. Kroll belongs to several national and local legal organizations and holds leadership positions within them. He has presented more than 140 lectures throughout the United States on personal injury and wrongful death topics. Legal journals have published more than 80 of his articles on topics such as strategic jury selection, preparing and cross-examining expert witnesses, maximizing an injured client’s recovery and successfully handling wrongful death cases. Every year since 2005, Mr. Kroll has been named to the Illinois “Super Lawyers” list. For seven consecutive years, the American Trial Lawyers Association has listed him as one of the Top 100 Trial Lawyers in Illinois. Additionally, Mr. Kroll serves as an elected member of the DePaul University Board of Trustees. Mr. Kroll has been interviewed in countless media segments and publications such as WBBM-AM 780, CBS 2 Chicago, ABC 7 Chicago, FOX Chicago News, NBC 5 Chicago, the Chicago Tribune, Chicago Sun-Times and National Law Journal. Mr. Kroll has taught Trial Advocacy and Medical Malpractice Law at his alma mater, DePaul University and Trial Advocacy at Northwestern Law School. He has also taught a Deposition Practicum Course at John Marshall Law School. Most recently, Mr. Kroll was the only Illinois attorney to be published in the Anatomy of a Personal Injury Lawsuit, 4th Edition, recently released by Trial Guides and the American Association for Justice. He also served as the editor and author for the IICLE “Proving Fault in Auto Accident Cases” 2014 edition. Mr. Kroll received undergraduate degrees in Finance and Economics from DePaul University in 1987 and went on to earn his law degree from the DePaul University College of Law in 1990.